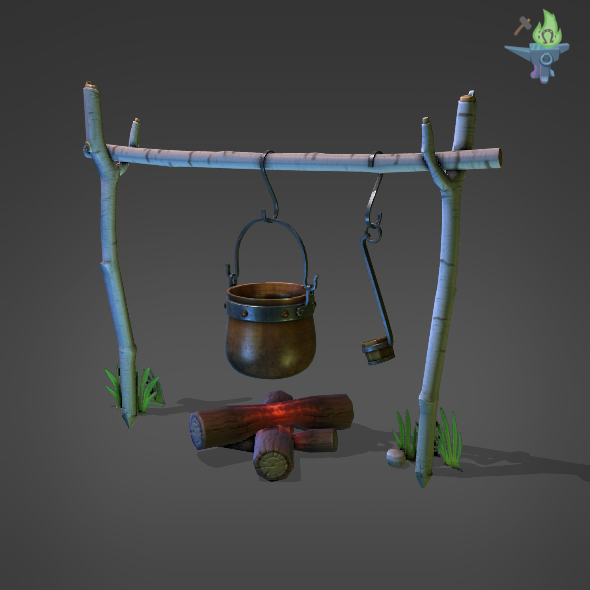 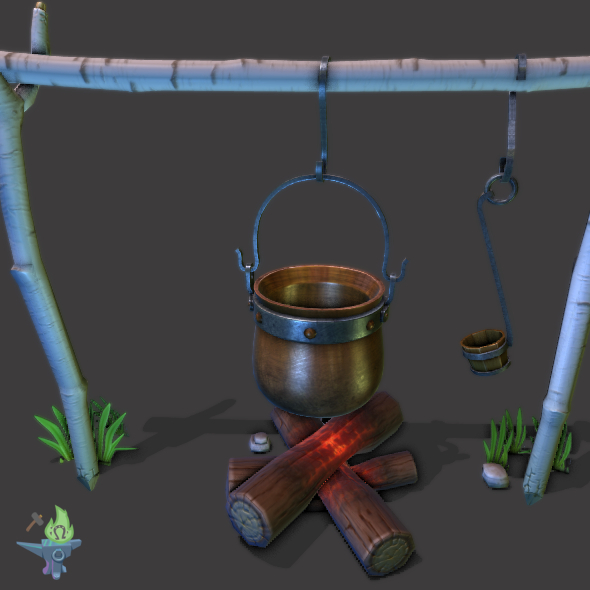 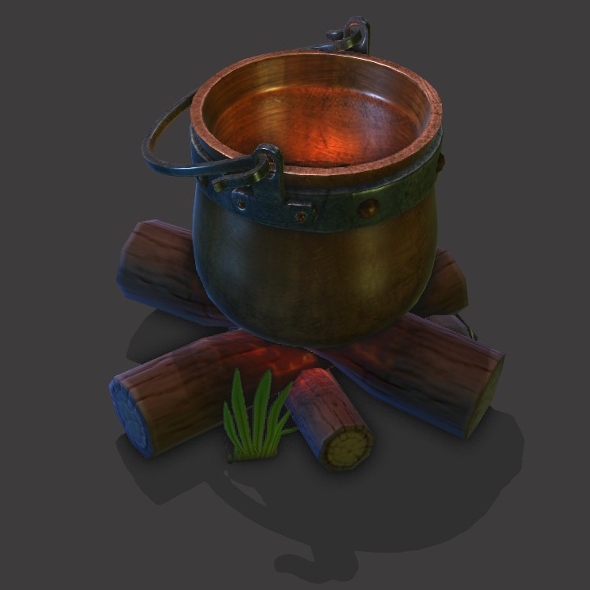 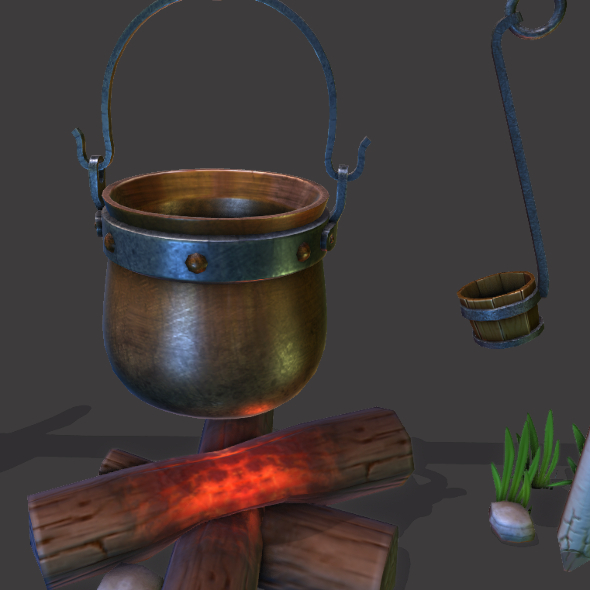 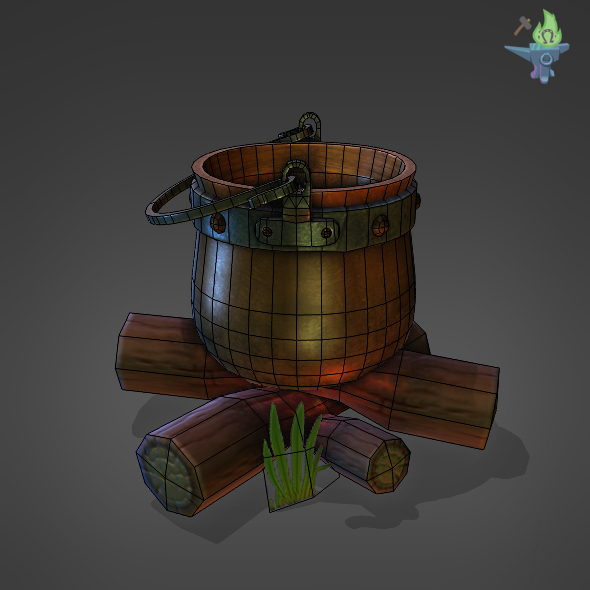 Camp Fire Cauldron low-poly 3d model ready for Virtual Reality (VR), Augmented Reality (AR), games and other real-time apps. 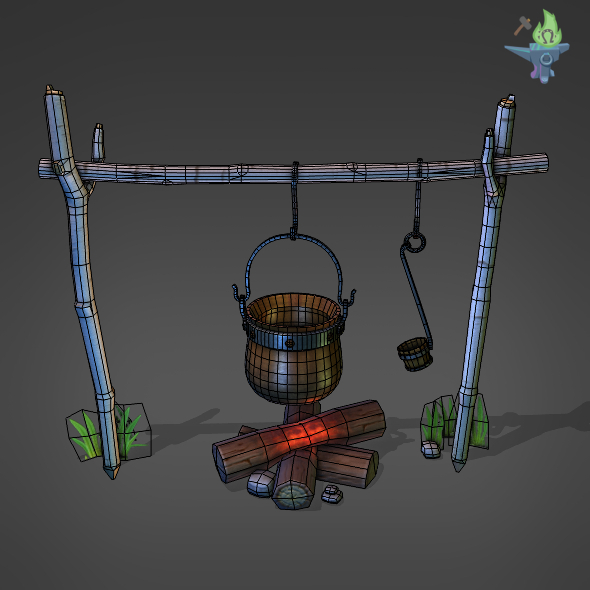 It comes with the wooden structure and the camp fire. 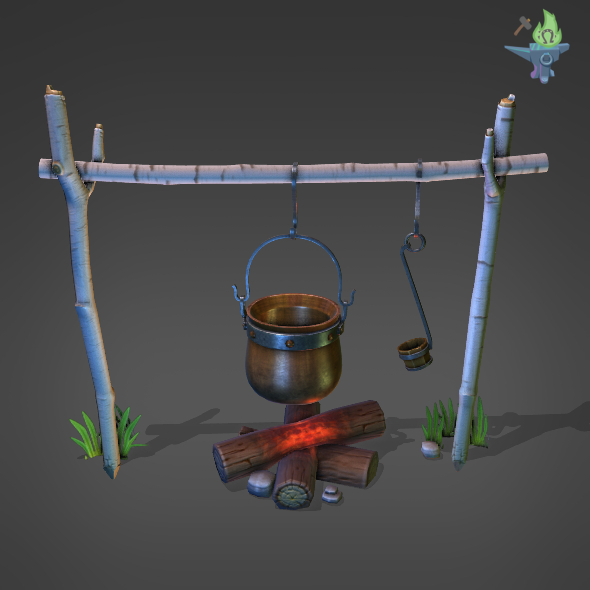 There is some additional stones and strands of vegetation to help integration with the environment.